Kindly note can only choose one authorization for free. 1. Supports fastest Benz Car key add: collection time 1'50s, password calculation time 40s, 99% get password for one time calculator, it is the fastest key programming tool to calculate the password at present. Of course, the premise is that you have more than enough points. Please pay for $4 Only One Token for CGDI Prog MB if you need more tokens. When license gets expired, please pay to Token Service 180 Days for CGDI Prog MB Key Programmer. After you pay for it, can calculate online two times free each day again. 1. 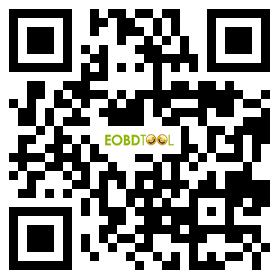 High technical tool which mainly support Auto diagnose, programming and security maintenance 3 in 1. 4. Software response fast, short time programming, and new breakthrough in operation safety and technical support. 8. Free Update Online on official website http://www.cgprogcar.com/?langid=en, when you receive the device, please download software on official website too. 9. Newly Include Reading 8 Foot Chip Free Clip Adapter in package as default, make your job easier! 2.BMW CAS3/CAS3+Data repair--support change replace and split CAS computer,BMW MSV80/MSV80.0/MSD80/MSD80.0/MSD85/engine change computer, ISN code reading and writing.